In 2006 the Dutch government tried to calm the population. The message was that there was no need to worry, because there were 200.000 people working to keep us safe. Searching for strange behavior to quickly discover possible treats. In 2006 the moral of the story was: There is nothing to be afraid of. Just go on living. The website made for the government against terrorism has died and no longer exists. Last year the Volkskrant ran a story about phone-taps in the Netherlands. We were the country with the highest numbers of phone-taps of the developed countries. No less then 22 thousand phones were monitored each year! Last month the NSA admitted to monitoring 1.8 million phone calls in the Netherlands per month. These messages are all smoke screens. Now we live in 2013. Edward Snowden, an employee of the United States secret service sheds some light on the information that is being collected. The United States are embarrassed because it turns out that everything, simply everything, is being monitored and stored. Of course this is not done solely by the United States. The Dutch intelligence service also monitors everything in the Netherlands and shares this data with other agencies. Everything you do with your computer, everything you pay for with a card, everywhere you are seen by cameras, everything related to insurance, all your medical history, all bank related data, everything you do with your phone, all the places you visit with your phone, you name it. Everything is recorded and stored. Privacy is one big illusion. Privacy is granted as long as you are not perceived as a threat. This leads to the big question. To whom should you not be perceived as a threat? And what are the consequences if you are perceived as being a threat? The simple fact that monitoring all information is so widespread proves that there are automated systems. Monitoring 1.8 million phone calls a months is impossible without automation. If there is an automated system, then there is no reason to you limit this process to an incomplete set. The logical conclusion is that everything is being monitored. Lets hope the owner of this system is the government. If the goal is to monitor and use all data that can possibly be monitored, than a system that cannot be monitored poses a direct threat. A source that cannot be monitored is like a big hole in the fence surrounding a jail. This implies that the government needs to know the weaknesses of all systems. If a system cannot be monitored they need to research the system as soon as possible. Every theoretical exploit must be tested for feasibility, turned into a proof-of-concept and then added to the list of monitoring tools. “I have nothing to hide”, “They may know everything about me”. These are things we hear sometimes and make clear that people don’t realize what is going on. All the privacy we lose now is lost for the generations that will follow. Each new generation of people will be watched and controlled more closely and eventually we will end up with our backs against the wall. We are all being watched and we accept our faith as something that is just part of life. No-one who really matters is really worried, and those that are worried really have no voice. Nothing happens and nothing changes until you decide to change your routine. What will be the consequences? Maybe now sticking your head above the cornfield will just result in a little note popping up at some desk of someone working for a secret agency, but who will guarantee us that in 5 or 10 years the same person is not send directly to jail, of suddenly disappears. A hero has risen. 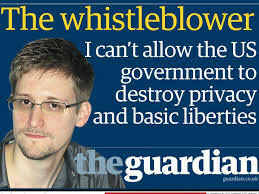 Snowden, who realized things are moving towards a dangerous future and tried to make a change. Someone who has given up everything he had, for all of us. Lets hope a change will follow before it is to late. 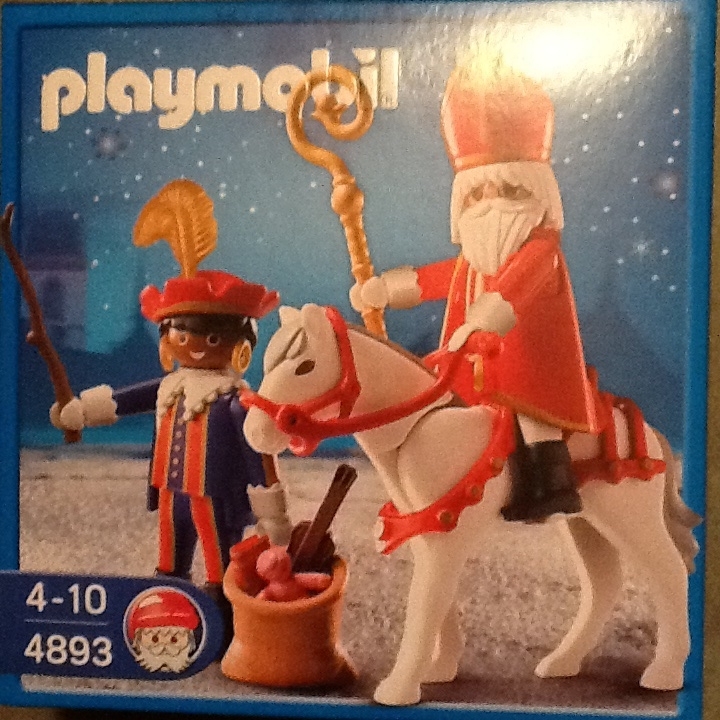 It is still about a month before the birthday of the sint will be celebrated, but still I have the feeling I was just in time. 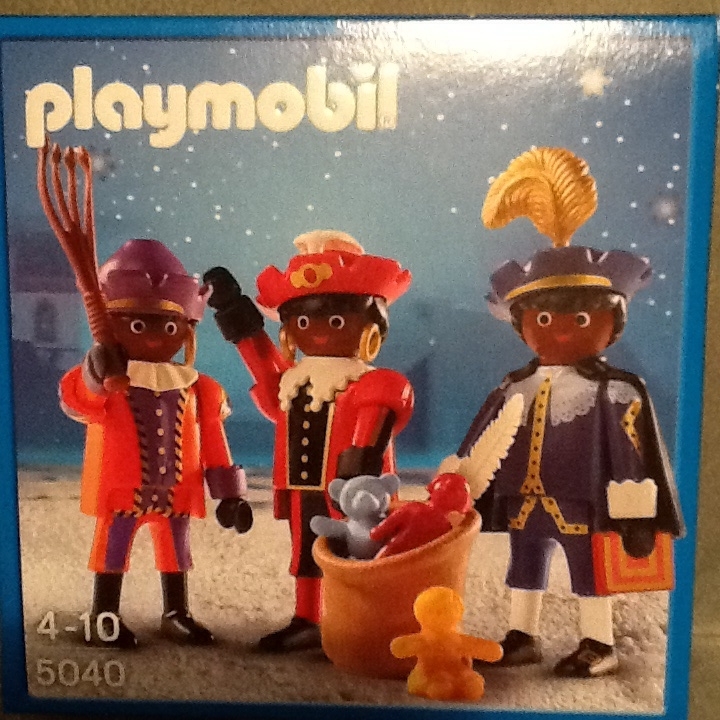 Just in time buying a play-mobile set with a white sint and a couple of black piets. Just as the tradition prescribes.